The building and construction industry in the UK is one of the strongest sectors of the economy. If you're unhappy in your current employment and looking for a career change, there are several opportunities available for you in building and property management. For example, you may be interested in the position of dry liner, who are responsible for constructing a building's internal walls. Dry liners work with plasterboard panels, removable wall partitions, raised flooring and suspended ceilings. You might be well-suited to the work of a dry liner if you're good at working out surface areas and angles. Dry liners also need to be able to read technical diagrams and understanding the relevant building regulations. You'll need to be in good physical shape and have Good Practical Skills. There are no specific qualifications for the job. Employers would probably be looking for GCSEs, especially in design and technology. You may have to start out working as a labourer or dry liner's mate. Once you get a little experience and show your employer what you're capable of, he may be willing to give you some more training. Your employer will most likely be a housebuilder or shopfitting company. However, with a little bit of experience and training, becoming self-employed is a definite possibility. Another career in this field is building technician. Sometimes this job is also called site engineer or construction estimator. A building technician's main assignment is to assist construction managers, surveyors and architects. Your work could be done either in an office or on the construction site. 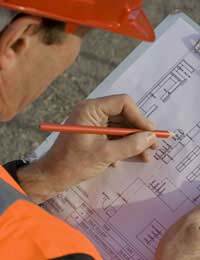 Good building technicians need to have excellent communication and problem-solving skills. Being able to keep things organised and on schedule is another requirement. Specifics of the job require knowledge of construction methods and building materials as well as all relevant construction regulations. Typical duties of the building technician include estimating costs of construction, negotiating with suppliers and subcontractors, and monitoring the progress of construction to keep everything on schedule. It will be your responsibility to make sure all of the necessary details are in place and on time. You may also be called upon to supervise teams of building contractors. As a building technician, you could be working with practically any organisation that does construction work. This could include building firms and contractors, local governments, major retailers or water, gas and electricity providers. Building technician apprenticeships are available, or you could study at your local college to obtain qualification. If you already happen to be working in the building trade, you may find a career change to the technician level relatively easy. As you gain skill and experience as a building technician, it's possible to move up into construction management or specialise in certain technical areas. One of the most demanding and rewarding careers in this field is that of Project Manager. Your duties will involve what the name implies – overall management of a large project. Your activities will range from determining what the client wants and needs, to putting together a project team, to continuously monitoring progress. Making sure the project is finished successfully, on time and within budget is your responsibility. Many project managers have college or postgraduate training, but it is possible to leverage your prior experience as well. You'll need a background in business, management or engineering. The job also requires excellent communication skills, good leadership skills and meticulous attention to detail. You may find employment with a project management firm, but freelance contracts are also very common. Given the overall good health of the UK's construction industry, careers in building and project management have a bright future. A career change into higher-level positions may require some time off for college, but if you're ready to get started today and aren't afraid to get your hands dirty, there are opportunities waiting for you. If you are unsure about your career path, take our questionnaire Which Career Direction is Right For You to help give you a better understanding of your career change options. Looking for a career Change. I have a background in financial planning and private banking. I wish to pursue a career in construction management. Any career change Advice would be much appreciated.